FRANKFURT (Bloomberg) -- BMW has ended talks with General Motors to cooperate on fuel-cell technology to power future vehicles, as the world's largest maker of premium cars gears up to expand its partnership with Japan's Toyota. "We are still talking to GM, but no longer on the topic of fuel cells," Alexander Bilgeri, a spokesman for BMW, said Wednesday by phone. 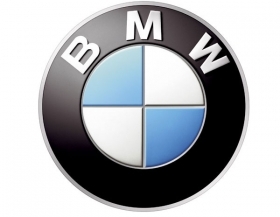 BMW had said on December 12 that it was in talks with GM to cooperate on fuel-cell development. "We have business relationships with many different manufacturers and regularly explore potential forms of cooperations," said Marc Kempe, a spokesman for GM in Europe. "There is nothing to announce with regards to BMW." The decision comes as BMW and Toyota are set to expand their cooperation to fuel cells and components for electric-powered cars, according to a person familiar with the situation who declined to be identified ahead of an official announcement. BMW CEO Norbert Reithofer and Toyota President Akio Toyoda have scheduled a press conference for June 29, according to an invitation issued on Wednesday by the German manufacturer. Both carmakers declined to comment. Selecting Toyota as its partner for fuel-cell technology would expand on an agreement signed December 1 to cooperate on boosting the performance of lithium-ion batteries. At the time, the companies said they would explore other projects to develop fuel-saving technologies. Research partnerships have become standard in the auto industry as manufacturers look to reduce development expenses to meet stricter emissions regulations. BMW cooperates with PSA/Peugeot-Citroen on engines for the Mini brand. The two companies are also currently cooperating on hybrid components. Those plans are under review after GM took a stake in the French manufacturer as part of a broader alliance.